Research resources for physical therapy. 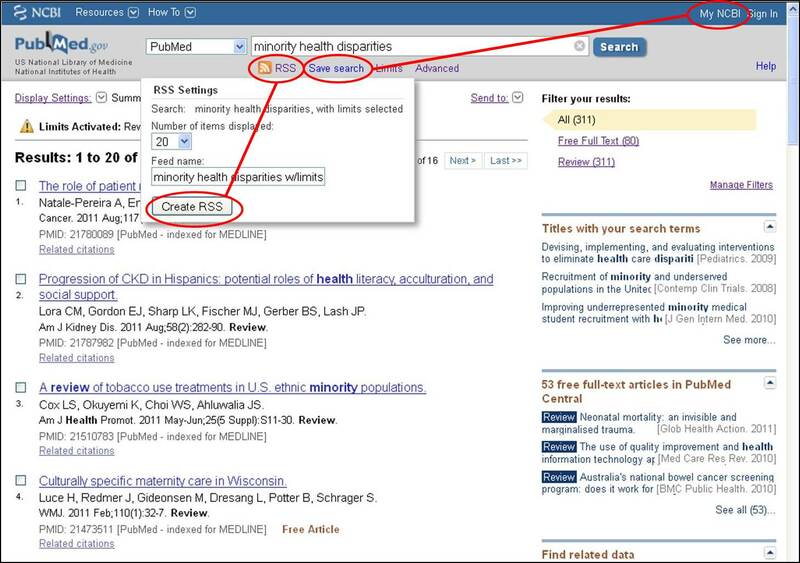 PubMed has two ways to receive notices about new publications of interest: RSS feed or an email from a saved search in My NCBI. Run your search, including any limits you want to set. Name the Feed and click the “Create RSS” button. Click the orange “XML” link and say Yes when asked if you want to add the RSS Feed to Microsoft Outlook. Name your search, and elect to receive email updates. Set the frequency and format you would like to receive. If you need to change your alert settings, click “My NCBI”, then “Managed My Saved Searches” to make changes. 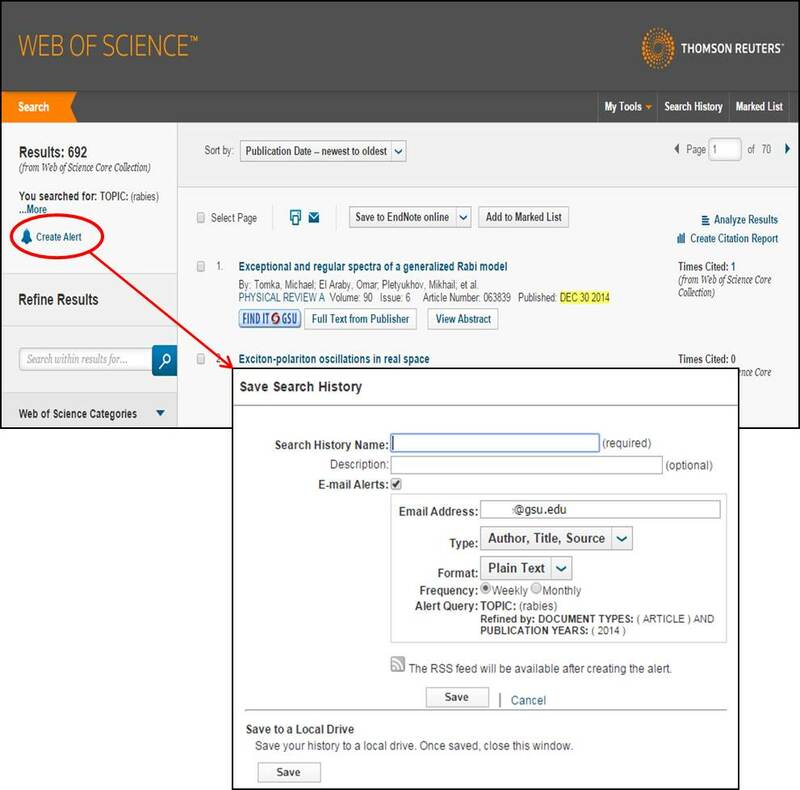 Run your search in Web of Science. Name your search, select an email format and frequency, then click Save. Click "My Tools" on top of the page to make changes. Access the full record of the article of interest by clicking the title of the article. 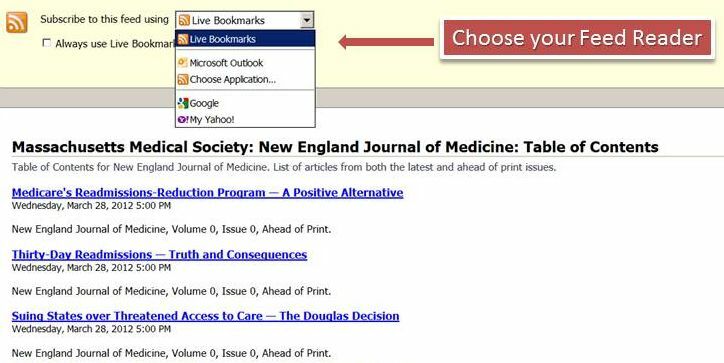 Now, you will automatically receive an e-mail alert every time the article is cited. JournalTOCs (http://www.journaltocs.ac.uk) is a free service that makes it easy to find, display and store Tables of Contents from scholarly journals in all disciplines from over a thousand publishers. You can also import them into your Google Feed Reader or Microsoft Outlook RSS Feed Reader (instructions below). 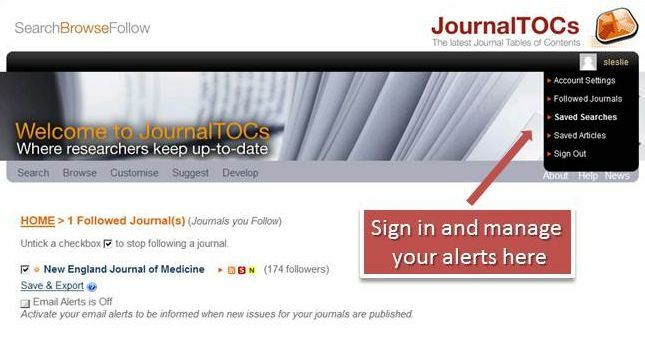 First, find the journal(s) you want to subscribe to and click on the title. 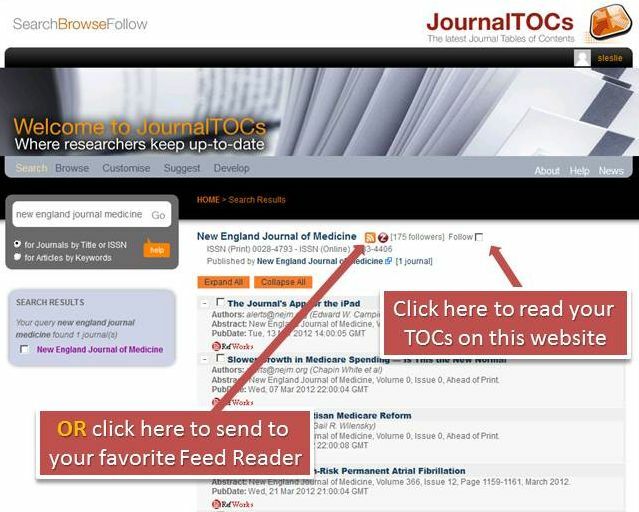 Then decide if you want to view the TOCs on the JournalTOCs website or through a Feed Reader. 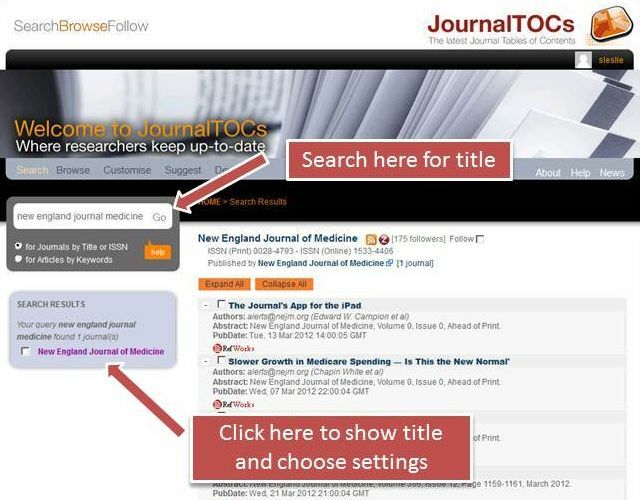 Or create an account and see your journals and saved searches on the JournalTOCs website. Set up an email notification to tell you of new TOCs on the website.